The earliest skyscrapers were built in Chicago and New York during the second half of the 19th century and were between 10 and 20 storeys high. Technological advances during the 20th century meant that buildings could grow ever taller and modern skyscrapers are usually more than 100m and often reach heights in excess of 150m. The world’s tallest skyscraper is currently the Burj Khalifa building in Dubai which measures a vertigo inducing 829.8m. Europe’s tallest skyscraper is the 373m Federation Tower in Moscow. Even these giants will be dwarfed by the Kingdom Tower when it is completed in 2020. 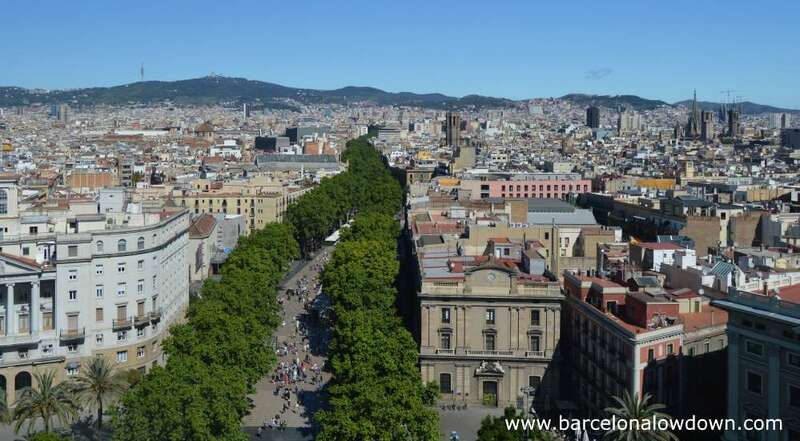 Barcelona city centre is a maze of narrow streets and centuries old low-rise buildings. Most apartment buildings are between 5 and 7 storeys. With few exceptions, it’s the hills surrounding the city that dominate the skyline rather than skyscrapers. Most of the city’s tallest buildings were built in the construction boom which coincided with the 1992 Olympic Games. In recent years the Poblenou neighbourhood has been transformed by the construction of modern skyscrapers which have replaced old disused factory buildings. 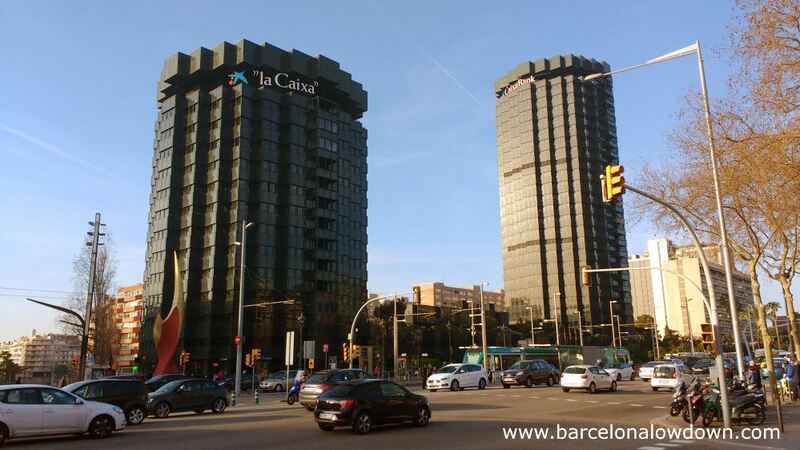 The two tallest buildings in Barcelona were built for the Olympic Games of 1992 and are located at the beach next to the Port Olímpic marina. The five star Hotel Arts is a 154m high steel and glass skyscraper with an exposed metal exoskeleton designed by Bruce Graham. The Torre Mapfre building which stands a few metres away the other side of Carrer de la Marina is topped by Spain’s highest helipad. 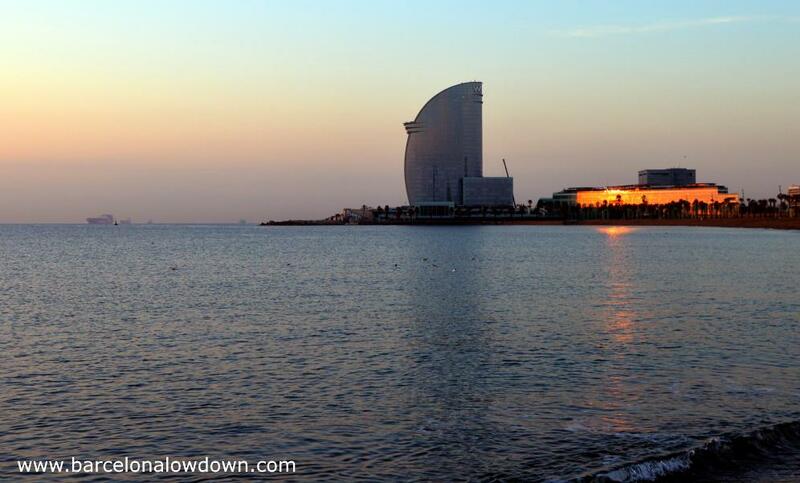 The W Barcelona hotel which is known locally as Hotel Vela (sail hotel) was built in 2009 at a cost of €280M. Architect Ricardo Bofills´ wanted to create a simple design that opens up to the sea. 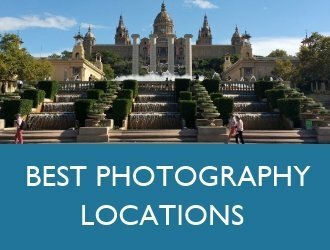 Located at one end of Barcelona’s famous Barceloneta beach, the hotel has 473 rooms, 3 bars, 2 restaurants, a gym, spa and infinity pool as well as direct beach access. 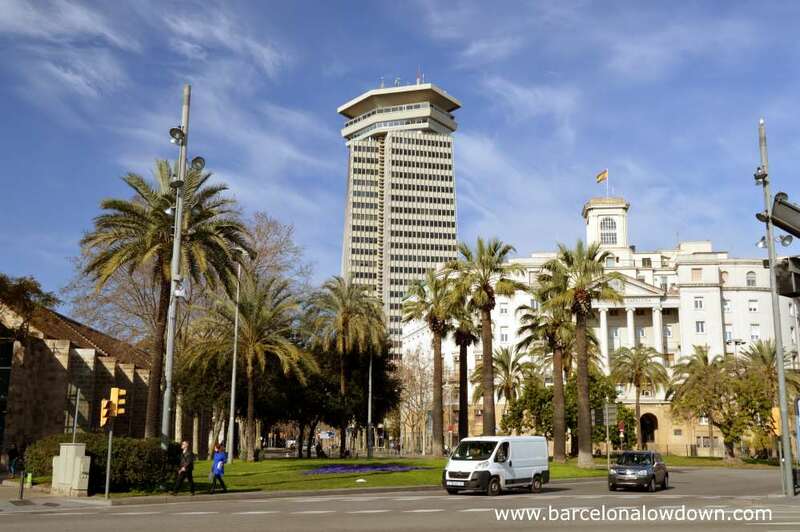 The Agbar Tower was inaugurated in 2005 as the headquarters for the Aigües de Barcelona water company. 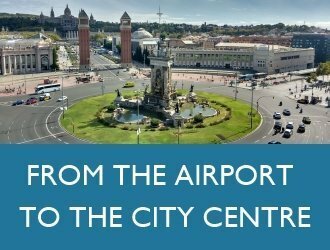 Said to represent a geyser gushing out of the ground, the hi-tech 142m tall tower quickly became an icon of the Barcelona skyline. 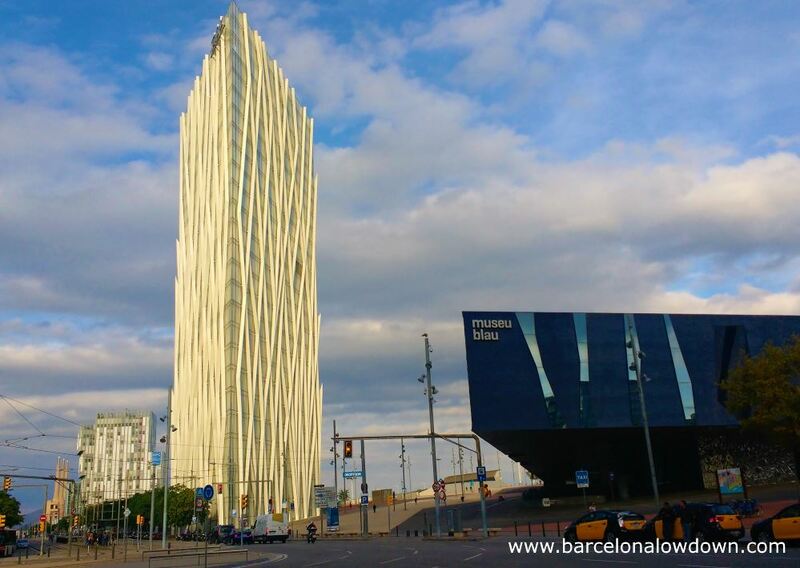 The Mare Nostrum building is one of the most visually appealing modern buildings in Barcelona. 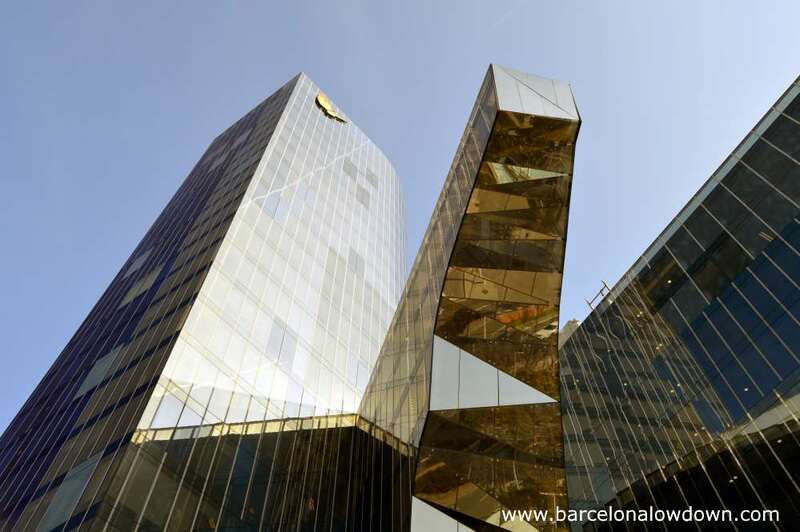 The 86m glass structure is the headquarters of Gas Natural and was designed by Enric Miralles. The ultra-modern abstract design is made up of three asymmetric forms joined together by a 5 storey high glass bridge. 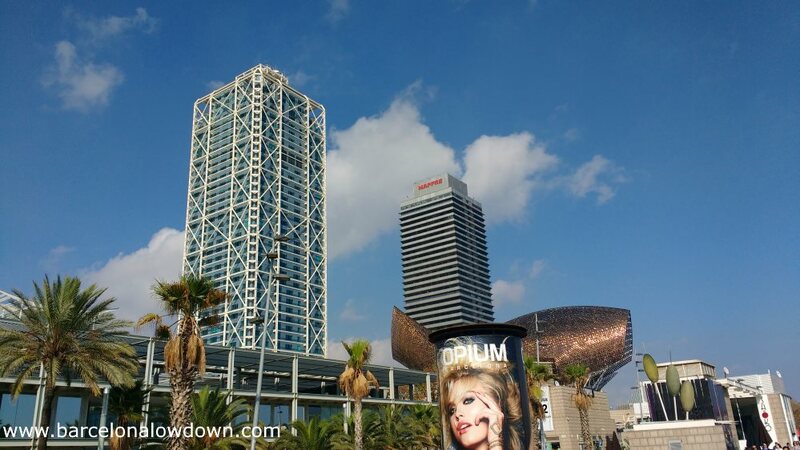 Also known as the Telefonica tower, Diagonal Zero Zero stands at one end of Avinguda Diagonal which bisects the city diagonally from Les Corts to El Fòrum. The building’s sleek exterior is made of white steel girders connected in a stretched rhomboid pattern. At the other end of Av. Diagonal, the La Caixa building consists of two towers connected by a rectangular reception area. The taller of the two towers is 85m high and there’s something classy about the building’s sleek smoked-glass exterior. If you look closely you’ll see that the La Caixa logos on the top storey slowly circumnavigate the building, traveling a total of 8,000km per year. 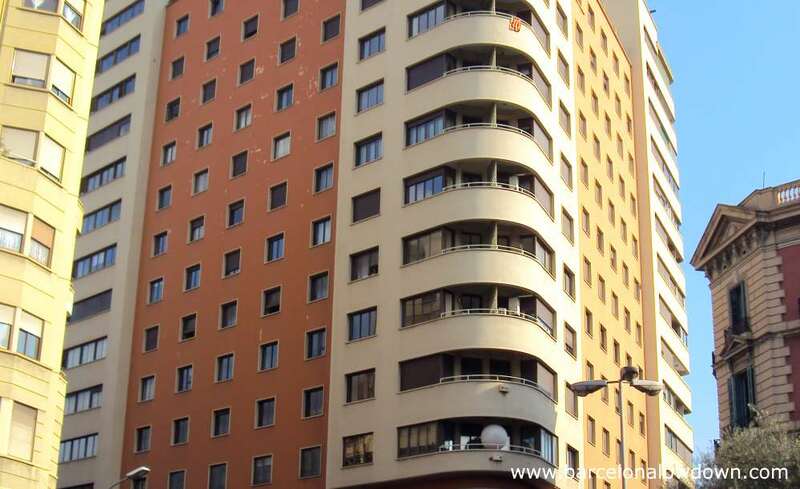 The 15 storey Art Deco styled Edifici Fàbregas was the first skyscraper built in Barcelona. 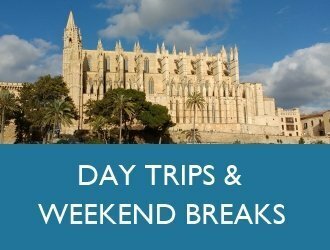 Construction began in 1936 but stopped shortly afterwards due to the outbreak of the Spanish Civil War. The building was finally completed in 1944. Nowadays Edifici Fàbregas is best known for the Abelux lighting showroom which occupies the ground floor. 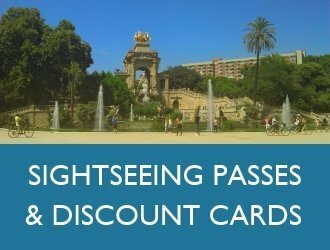 Barcelona is famous for its architecture and over the years has embraced all architectural styles. It should come as no surprise then that it has a few skeletons in its closet. The ugliest of which is a 110m tall concrete monster called Edifici Colón. Built in 1970 in the then popular brutalist style, Edifici Colón is an office building topped by a seafood / fish restaurant called Marea Alta. The restaurant gets good reviews from both locals and tourists and boasts excellent panoramic views. 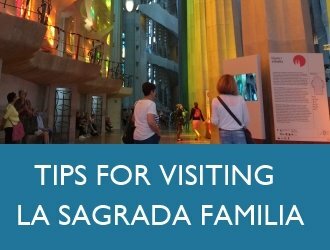 The best known and most emblematic building in Barcelona is without doubt the Sagrada Familia Basilica. 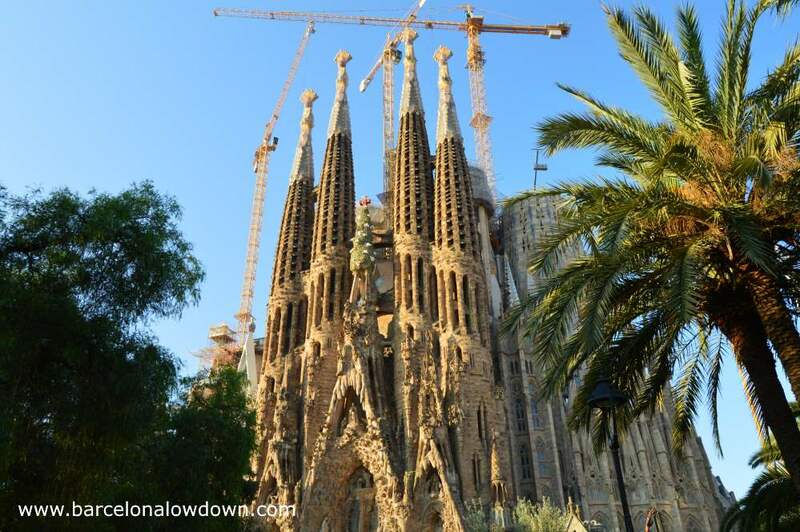 When it is finished the church will measure 172m making it the tallest building in Barcelona. Antoni Gaudí was a devout Christian and believed that the work of man should never attempt to exceed that of God.The tallest peak of Montjüic (the hill to the south of Barcelona) is 173m high and Gaudí decided to make his masterpiece 1m smaller. 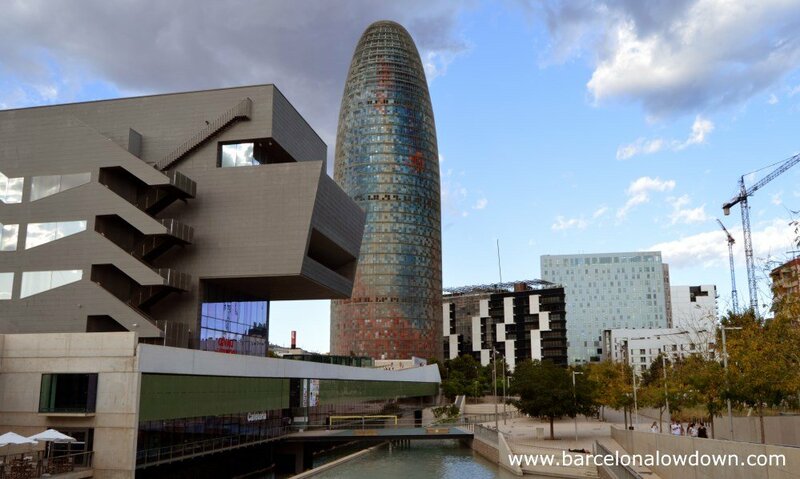 A decision that has been respected by other architects who have designed buildings in Barcelona. 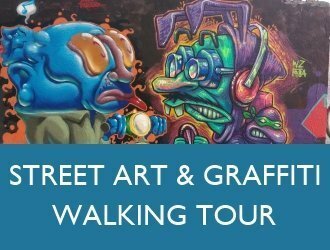 This entry was posted in Attractions tagged architecture and updated on November 5, 2017 by Richard. 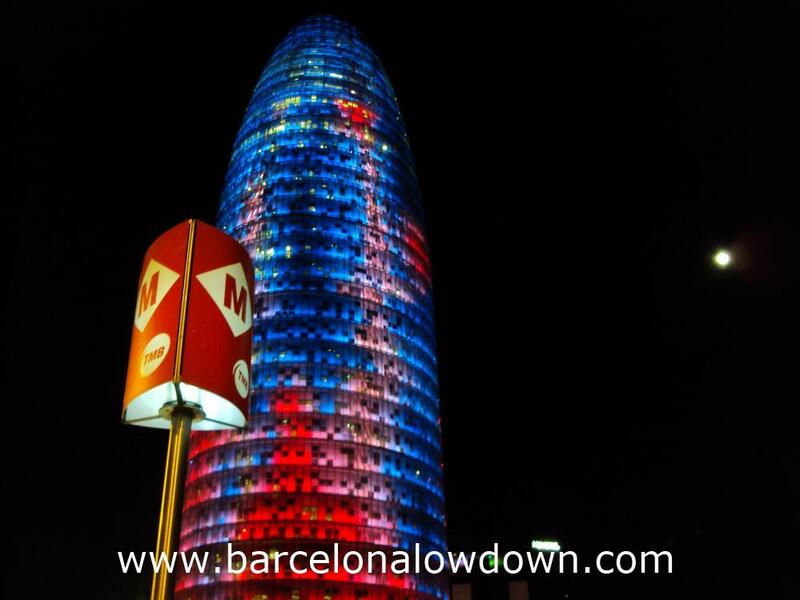 I love the Agbar Tower’s lightning in the night. Awesome! It’s pretty impressive isn’t it?